Rich wrought iron scroll work with crystal bead accents. Includes 6 feet of chain for height adjustments. Fixture attaches to matching decorative ceiling plate and is suitable for vaulted ceilings. 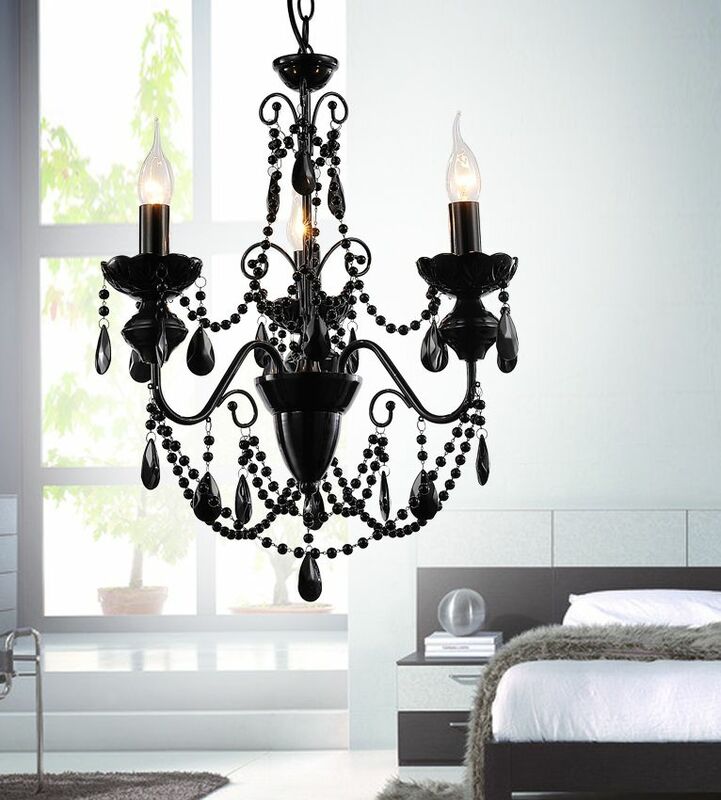 Classic chandelier with black finish. Perfect focal point for any space.A matching canopy is included. The E12 bulb base gives you a very broad choice in bulb styles to choose from. Traditional Euro candelabra chandelier with simple candle sleeves and goose neck sconce arms. Single tier chandelier includes matching hardware, installation instructions, and 6 foot chain for height adjustments. Fixture attaches to matching decorative ceiling plate and is suitable for vaulted ceilings. The Mariah series is immediately the centre of attention in any setting. Stunning diaphanous crystal shades are paired with draped strands of crystal beads. Midnight black architecture is the perfect balance to the Gothic and ornate aestheticism this family embodies.